Liven up your windows with Perfect Fit blinds. For the ultimate in style, choose Perfect Fit, a unique fitting system developed by Louvolite that requires no drilling or screwing during installation. 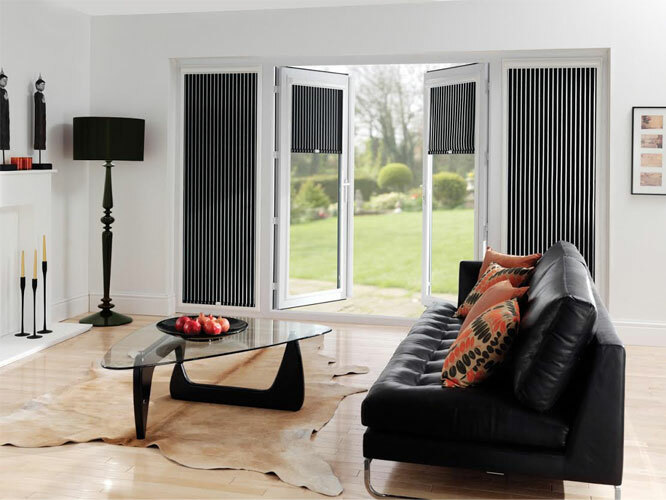 Quick and easy to install, stylish and contemporary in appearance, choose Perfect Fit to complement Venetian and Pleated blinds for that extra finishing touch. Louvolite Perfect Fit is the most attractive and innovative window blind available on the market today. The system is unique because the window blind fits neatly into a stylish frame, which moves together with the windows and doors when they are opened and closed giving you the perfect combination of shades and ventilation. © 2019 FastTrack Blinds. All Rights Reserved.